2 How Do You Want to Find People on Instagram? 6 What is it about? 7 Search within your website the Instagram icon that leads to your profile directly. Following the steps that I just showed you just in the previous step, instead of selecting People, select Hashtags. Using the profile search to find people on Instagram is very common when we want to find a specific person or when you want more real Instaram followers. Use the mobile’s keyboard to write the specific hashtag. As you write you will see that several options are appearing right below. When you locate the desired hashtag, click on it to see the publications tagged under that hashtag. Searching people from your particular sector through a hashtag is great. For example, I am a fan of magic, and from time to time I get to learn a new effect. To do this, I enter Instagram, I search for the hashtag “#jasonscott” and quickly see people related to this topic. You can use this search with any type of hashtag that you can think of. The more specific the hashtag you use, the more refined your search will be. Today we will learn to look for people on Instagram in all possible ways so you can find the person you are looking for. How Do You Want to Find People on Instagram? Another option to find who you are looking for is through web pages, Google, or even Facebook. At the moment they are the three most effective ways to search for people on Instagram. We will see how to find people on Instagram, although this is not the typical post-manual copied from a website in English. The content is taken from my own experience and how I use Instagram traveling. I want to teach you to look for people and make them become your followers. Therefore, we will not only see how to find people, but we will also find ideal profiles to become followers. Readers of the blog know that I always tell you the same thing: to get more followers you have to create a link with them, connect. Without this bond that unites you, it is very difficult to start a long-term relationship. The first thing I recommend before you start growing your account is to find your friends and ask them to follow you. To find friends or people who may be interested and become your follower you must use one of the oldest advertising tricks: position yourself in front of them. I mean that you make likes in your photos and let them follow your accounts, so they can know that you exist. The more likes and more people you follow, the more people will see that you exist. Try to do it with users that are related to your photos. Just do not follow people to follow. There must be a link between you. 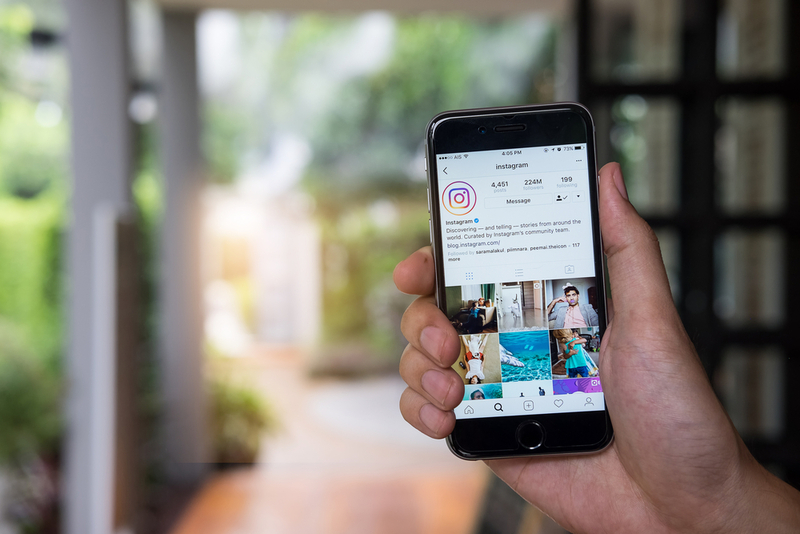 To search for Instagram photos of users who may be interested, open the search engine (the magnifying glass icon) and write words related to your sector: lifestyle, digital marketing, fashion … There you will find thousands of photos. Later we will see how I use Instagram to find friends on my trips. The option of looking for people through your website is perhaps the most effective, but the least used. Imagine for a moment that you have just met a speaker in a hangout, or that you have just read an excellent article in a blog, or you have hallucinated a youtube video and want to know the user who is behind all this. What is the best way to find your profile on Instagram? Search within your website the Instagram icon that leads to your profile directly. When you do not have the website of the person you’re looking for, you can go to Google, write your name next to the word “Instagram”. If the person you are looking for has a personal (or company) account with your name, you can also find it through Google. It may not appear. This is due to two reasons. The first is that the user should not have an Instagram account so it will be impossible to appear in the search results. The second reason is that the user has not used his name so it can be difficult to find it. Open the Instagram app and go to your profile by clicking on your photo (the icon on the right). In the upper right part of the screen, you can access the configuration (three vertical points if you use iPhone or a cog if Android). One of the first options says “Follow other people” and under “Facebook friends”. As you can see inside the configuration page, you can also select “Invite Facebook friends”. This option is used to see which Facebook friends do not use Instagram. If you click on this option you will see that you can search for people from Facebook (your friends) who do not have an Instagram account and you can send them an invitation message. Today, many people post Instagram photos simultaneously and automatically on Facebook and other social networks. In fact, you will probably see the same photo several times (Instagram, Facebook or even send it by a WhatsApp group). If it happens that the person you are looking for has posted a photo on Facebook, you can click on the link and see their Instagram name. Searching for a person by name is the quickest way to know how to find someone on Instagram Facebook, WhatsApp or any social network. To do this, open the Instagram app and click on the magnifying glass. If you are doing it from the computer, you can skip this step. At the top, click again on the button that appears a magnifying glass next to the text Search. At that moment 4 options will appear just below. Use the mobile phone keypad to type the name of your friend or the person you want to search. You will see that several options are displayed. Each of these accounts are possible accounts. Instagram orders them according to relevance (exact name with your search, related users, geographical area, common likes, etc …). So your friend should be one of the first results. I have done the test and searched my own name. I just discovered that there are 10 other people who have accounts similar to mine. I thought that “Jefferson” was an unusual name, … but I see no. Have you tried looking for your own name? Try it to see what happens and leave a comment explaining what you found! In this case, you can use the tool to search for company profiles or names of people. Many of you have asked me “How to find Instagram from someone in particular”. It is also very useful so you ask “How to know if a person has Instagram”.